Been there, done that, got the T-shirt! A great souvenir from a tough day in the mountains, you can pre-order your well-earned celebration here. 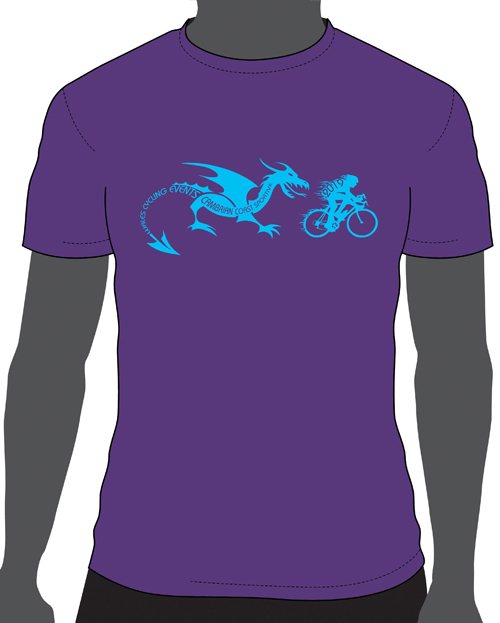 T-shirts are heavy cotton, built to last and have a rider-only price tag of just £15 when ordered online in advance. This page will expire with three weeks to go until the event. Some T-shirts of limited sizings may be available on the day, but cannot be guaranteed. Please use the same email address that you used to enter, so that we can link the order with your booking. In our experience, the men's sizes are pretty accurate, but the women's sizes come up a little small. If you are ordering in women's sizes it will be worth ordering a size larger than you would normally would.